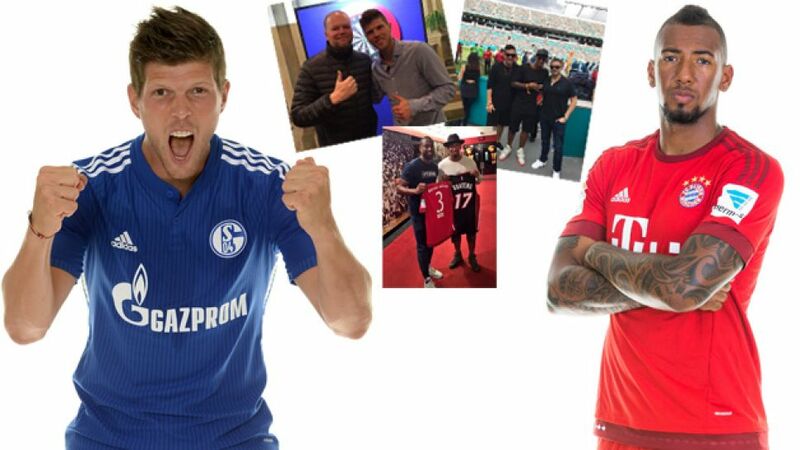 Bundesliga stars have been pursuing a range of sporting interests this winter. Away from the game, the adrenaline continues to pump for Bundesliga stars, which is why following another sport is a natural way of keeping the competitive tension high. bundesliga.com has a summary of what sports some of the stars of the Bundesliga have been keeping a keen eye on in their spare time over the holidays. FC Bayern full-back David Alaba likes to put his feet up after training and follow his favourite NFL side Seattle Seahawks. He posted this Tweet ahead of its Divisional Round playoff clash with Carolina Panthers. Thanks for your support, David. Go Hawks! Seattle Seahawks punched its NFL playoff ticket with a dramatic wildcard recovery against the Minnesota Vikings. Temperatures plummeted to -21 for the game, which is why Bremen's Claudio Pizarro, also a Seahawks fan, was probably glad he watched it from the warmth of his hotel room! The New England Patriots' quest for renewed Superbowl glory was supported by SV Werder Bremen defender Jannik Vestergaard, who attended its regular season game at New York Jets during his winter vacation in the Big Apple. While any football player would hear the shrill of the whistle were the ball to touch his hand or arm, there is a sport which is purely about that. Unsurprisingly, it goes by the name of handball and many Bundesliga sides play the game in training to sharpen a speedy interplay and hone players' movement. FC Bayern München forward Robert Lewandowski knows a thing or two about both, and perhaps that is because he likes to study handball games in his spare time. FC Schalke 04's Klaas-Jan Huntelaar was among the crowd at London's Alexandra Palace when his Dutch compatriot Raymond van Barnevald had his recent world cup quarter-final tie with Michael Smith – and the 'Hunter' appeared to be something of a good luck charm for 'Barney', who booked his place in the semi-finals in a dramatic match. Arjen Robben and Rafael van der Vaart have also lent their support to 'Barney' in the past, and the Dutch darts player has now vowed to return the favour. "He was delighted with the tickets and has already invited me to watch a match in Germany," said 'Barney' after meeting up with Huntelaar. FC Bayern München's Jerome Boateng went a little further to pursue his passion for US sport, taking in the Miami Dolphins' NFL clash with Indianapolis Colts live in the Florida city. He also tweeted about an exchange of shirts with basketball star Dwayne Wade of Miami Heat. Boateng was not alone in Miami, with Hamburger SV's Lewis Holtby posting a photo on Facebook of him attending a Miami Heat game against the Dallas Mavericks and their German superstar Dirk Nowitzki. In the end, Holtby witnessed a clear 106-82 defeat for 'Dirkules'. Franco Di Santo and Hakan Calhanoglu are rivals for FC Schalke 04 and Bayer 04 Leverkusen when it comes to football, but here they are forging a different rivalry, of a basketball kind.